Mr. Sam Haddad is a seasoned immigration attorney representing clients before U.S. Citizenship and Immigration Services (USCIS) and the Executive Office for Immigration Review. He was a valedictorian in high school and admitted to UCLA as a regent scholar. He obtained B.A. degrees in Political Science and French while also spending a year abroad at the prestigious Institute des Etudes Politiques in Paris. 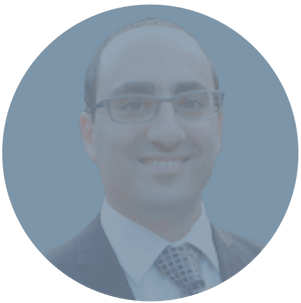 Sam attended Brooklyn Law School, and is admitted to practice law in California and New York, having passed both state bar examinations on his first attempt. Sam has represented hundreds of clients with an overwhelming rate of success, and has prevented the deportation of over fifty individuals through successful litigation in Immigration Court. He also has significant appellate experience and motions practice with the Board of Immigration Appeals and Immigration Court. He has drafted opening briefs in petitions for review before the Second, Third, Sixth, Seventh, Ninth and Eleventh Circuit U.S. Courts of Appeal. He has also drafted habeas corpus petitions and mandamus complaints before various U.S. District Courts. Sam has reviewed hundreds of applications and petitions filed with USCIS, and represented many of these clients in interviews all over the country and in challenging adverse decisions of USCIS. Sam has also successfully represented aliens detained by Immigration and Customs Enforcement (ICE), securing their release from detention. Additionally, Sam recouped tens of thousands of dollars seized by Customs and Border Protection. While it is not possible to secure a positive outcome in all situations, Sam’s success rate in his immigration practice approaches ninety percent, and he is forthright with his clients where the legal hurdles to a successful outcome are high or insurmountable.